Iran has opted not to wait for further unfriendly steps by Washington in response to its nuclear deal and the Iranian presence in Syria, fully comprehending that the USA is preparing for military action against the Islamic Republic of Iran and are simply buying time by creating an international coalition to initiate this action and strangling Tehran in the process. This time around Iran struck the first blow against the Trump administration. At the meeting with the country’s political leaders and activists, Ayatollah Ali Khamenei stated that Tehran will renew its nuclear programme if Europe fails to provide firm guarantees on several issues. The assertions from Khamenei’s speech are published on the Iranian leader’s website and his Twitter feed. He noted that after the US signed the Joint Comprehensive Plan of Action (JCPOA) in July 2015 on Iran’s nuclear programme, it has repeatedly violated its terms but Europe has remained silent. For Iran to uphold the terms in the nuclear programme agreement, Europe needs to ensure the following conditions are met. First of all, Europe has to adopt a resolution that implicates the US in its failure to comply with the joint resolution 2231, adopted unanimously by the United Nations Security Council (UNSC) on 20 July 2015. In this document the UNSC expressed its support for the JCPOA. Aside from this, resolution 2231 repealed UNSC’s previous decisions on the Iranian nuclear programme. Secondly, Europe has to assure Iran that it will not broach the issue of creating missiles in Iran and will try not to influence Tehran’s policies in the region. The third condition that the Ayatollah mentioned has to do with Europe’s obligation to oppose the imposition of sanctions against the Islamic Republic of Iran by the US. The fourth demand reads as follows “Europe should guarantee that Iranian oil will be sold in full. If the USA can undermine the sale of our oil, we reserve the right to sell as much oil as we see fit.” Besides, “Europeans should provide assurances that they will compensate any losses and buy Iranian oil”. In conclusion, Khamenei demanded that European banks ensure transactions with Iran are executed. Iran’s Supreme Leader announced “We are not in conflict with these three countries (note- Great Britain, France and Germany), but we do not trust them based on our past experiences.” “If Europeans continue to delay taking action in response to our demands, Iran will have the right to renew its nuclear work.” Khamenei said. After this the nation’s Supreme Leader ordered the Iranian Atomic Energy Organization to immediately launch a programme to enrich uranium. He also added that Iran will continue to comply with the nuclear programme agreement, i.e. it will not enrich uranium by more than 3.5% and will not exceed the number of centrifuges allowed. American experts noted that in order to comply with these conditions, Iran will need to replace the old centrifuges with new ones. Besides, Khamenei stated that Tehran will not abandon its ballistic missile programme, and is prepared to retaliate against any military aggression by its enemies with a counter punch 10 times as strong. 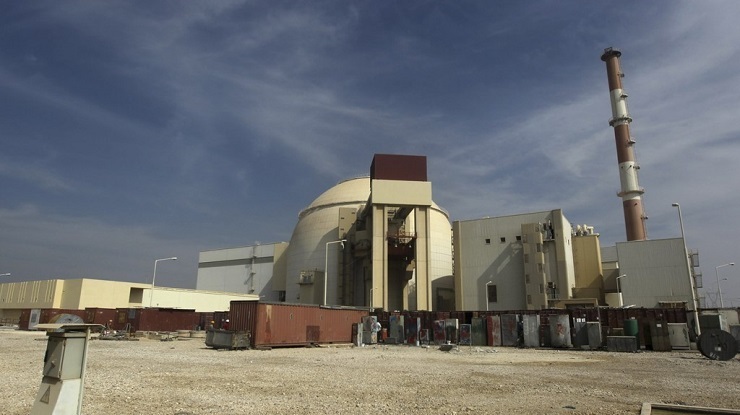 Hence, de facto Khamenei stated that he had given the order to renew nuclear research and the programme aimed at manufacturing nuclear weapons. In fact, this points to the fact that this time around Iran breached the “nuclear deal” in response to an analogous move by Washington. As things stand, there is no sense in Russian and European participation. In theory, this should automatically lead to a reenactment of sanctions against the regime, which Moscow will be obliged to support. Failure to join the others will service as an additional drawback in Russia’s already ailing relations with the USA. 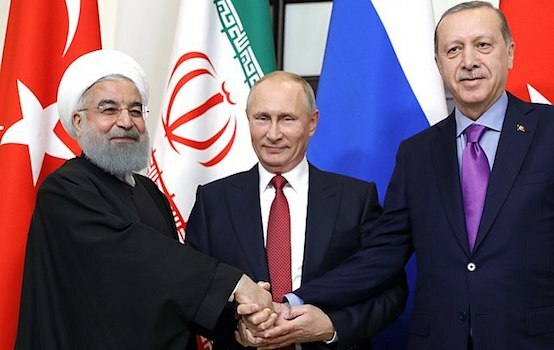 As a result, close cooperation between Syria, Russia and Iran may be significantly derailed, although without each other’s support positions of the two allies are hopeless. In the meantime, the US is stepping up its cooperation with Turkey. The Kurds are leaving Manbij, signaling Erdogan’s fourth successful campaign in the war in Syria. The first came at a time when Erdogan risked an open conflict with Moscow by preventing it from reaching Syria’s northern border causing substantial damage to Russian campaign’s designs in Syria. Then, with some difficulties, the operations, Euphrates Shield and Olive Branch, reached their intended conclusions. Now, Erdogan, is driving the Kurds out of Manbij practically without any resistance, and his campaigns are proceeding in Syria without any problems or almost no loss. Clearly, if the US, Israel and their Arab allies from the GCC (the Cooperation Council for the Arab Gulf States) begin an active military campaign against Iran and the Shiite pro-Iranian proxies in Syria, Ankara will not side with Tehran. 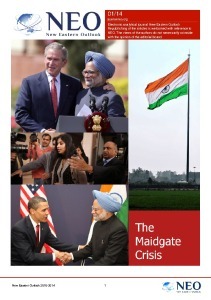 Still, for the sake of appearances, it may make a sudden move against the USA and most importantly Israel. But the main point is this. If prior to Khamenei’s demands, Washington slowly but steadily prepared for a military campaign to force Tehran out of Syria, Yemen and Iraq, now the White House will need to pick up the pace. Otherwise Trump risks losing face and trust among the elite in his administration and Congress. For now the USA is clearly unprepared to initiate any serious military action right away. The Arabic coalition is still being formed, while Americans lack sufficient military might. The situation in Iraq is still unclear after Muqtada al-Sadr’s victory in the parliamentary elections, while in the the south of Syria, Damascus, with support from Russia, is preparing for a military campaign against the intransigent opposition forces in Daraa, whose southern side is near the border with Israel. For now it is more important for Israel to observe the situation rather than involve itself in a large-scale conflict because of Iran’s nuclear programme. The meeting between the US and DPRK leaders is still a whole week away, hence suspense is growing. Trump’s steps in relation to Iran forced him into a situation which requires either moving headlong while taking significant risks or retreating as with North Korea.